We were talking about a song by Michael Learns to Rock (MLTR) over breakfast at Moshe’s at Cuffe Parade, Mumbai, after the adventurous morning. 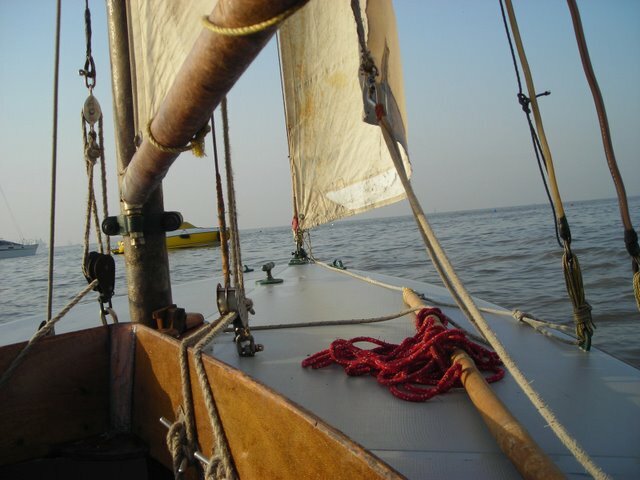 Now, dont ask me “Why Charlie” – Ask me about the sailing, instead!.. 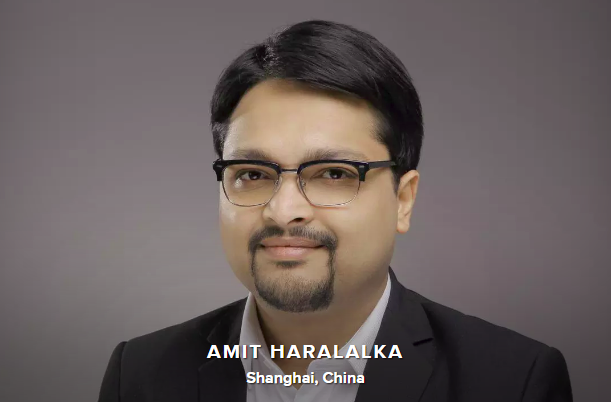 It was my first time on a yacht – Sailing on the Arabian Sea, right underneath the Gateway of India, BANG in front of the Taj! 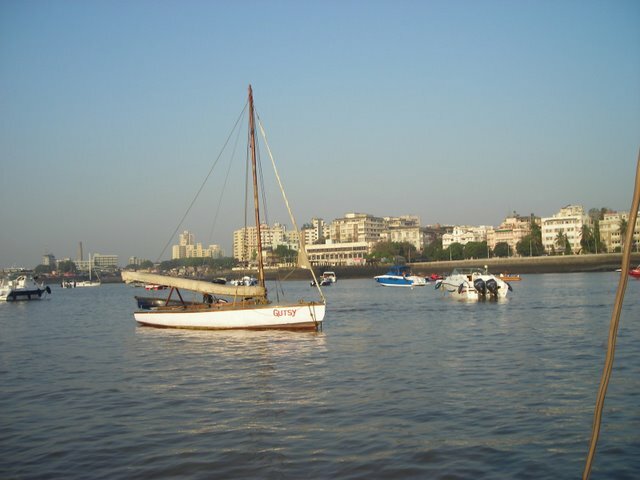 One of my friends – a sailing enthusiast – is a member of the Colaba Sailing Club and Royal Bombay Yacht Club. She decided to take us sailing. I did not know much about sailing except the odd reference to sailing terminology while watching Popeye the Sailor on Cartoon Network and while reading about Captain Haddock in the Tintin series! 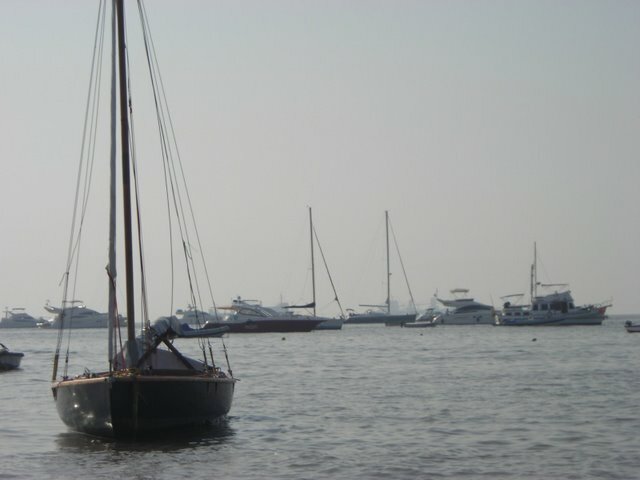 The energy that drives a sailboat is harnessed by manipulating the relative movement of wind and water speed: if there is no difference in movement, such as on a calm day or when the wind and water current are moving in the same direction at the same speed, there is no energy to be extracted and the sailboat will not be able to do anything but drift. 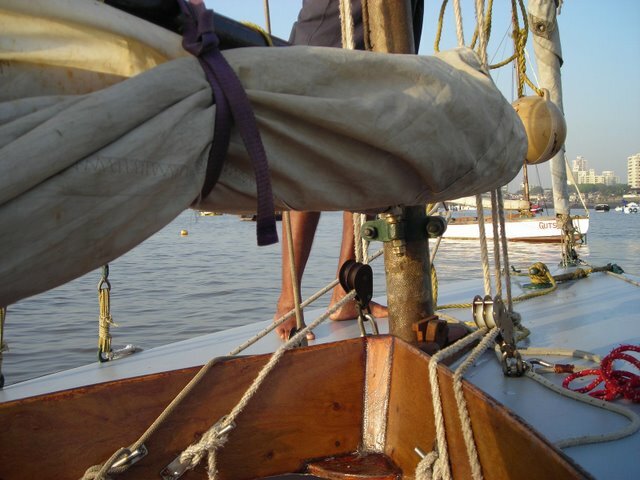 Where there is a difference in motion, then there is energy to be extracted at the interface, and the sailboat does this by placing the sail(s) in the air and the hull(s) in the water. Sailing is actually a lot of fun – especially when one is moving opposite to the direction of the wind and the wind hits your face! I also used the rudder myself for a few minutes and tried my hand at understanding how to navigate the yacht .. Basically, I just kept pulling the rudder towards myself whenever the I was told to “Bear away” and kept pushing the rudder away from myself whenever I was told to “Loft!” – 2 new words added to my vocabulary, thank you very much! Enjoy the pictures – CLICK to Enlarge. To read about the 101’s of Sailing, you might want to try this link. 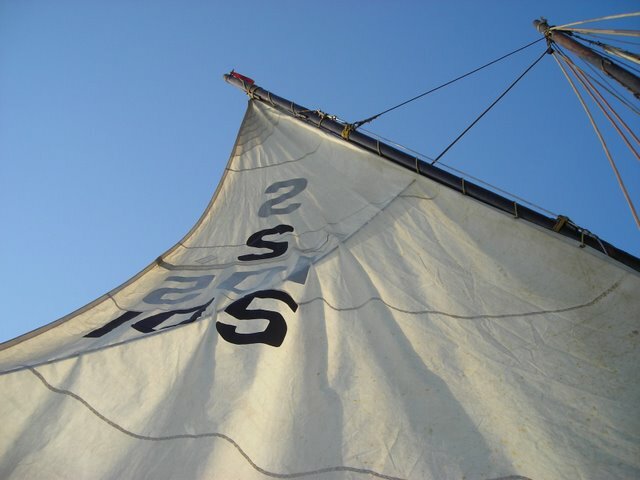 And, take a look at this Glossary of Sailing Terms. Must have been fun! I remember watchin many sailing events happenin in the south on CNBC. 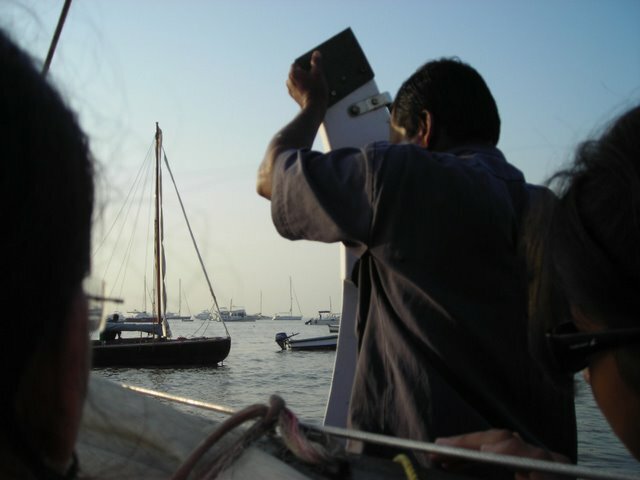 There are so many active sailing clubs in india. it was good to know On my wishlist to learn the trade! You should – really! – Very few things can beat the thrill of the wind blowing in ur face! Previous Previous post: Quetzal Verify – The ‘NEW’ Website!